Story Hoodline — Looking to sample the best doughnuts around town? We crunched the numbers to find the top doughnut spots in Seattle. 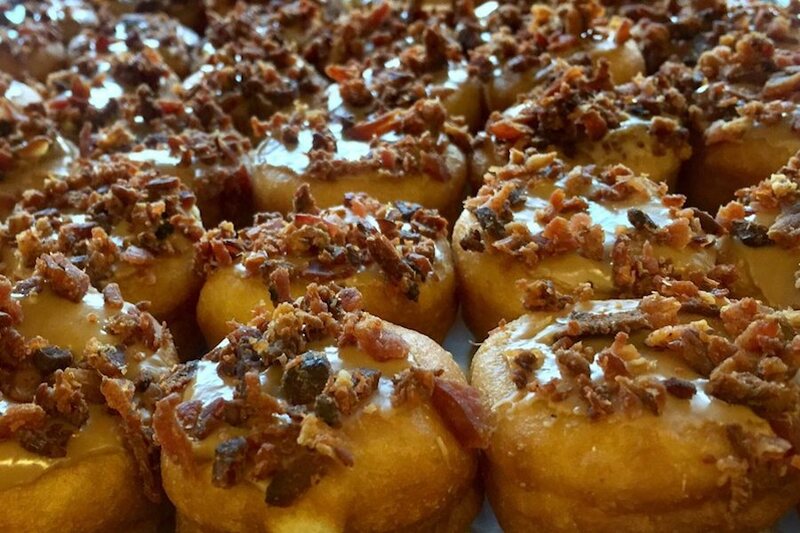 Topping the list is Daily Dozen Doughnut, boasting 4.5 stars out of 883 reviews on Yelp. Located at 93 Pike St. (near First Avenue) in Pike Market, the bakery and food stand is the highest rated doughnut spot in Seattle. Enticing passers-by with the sweet smell of freshly baked and fried dough, Daily Dozen specializes in warm, bite-size doughnuts sprinkled with powdered sugar or cinnamon. Next up is Wallingford’s Mighty-O Donuts, situated at 2110 N. 55th St (at Keystone Place North). With 4.5 stars out of 700 reviews on Yelp, the doughnut shop specializes in vegan options. Open since 2003, the Mighty-O produces all of its egg- and dairy-free doughnut mixes and glazes from scratch using organic ingredients, the shop says on its website. There’s a wide assortment of doughnut options available like the mint grasshopper, French toast, lemon poppyseed and vanilla glazed, to name a few. 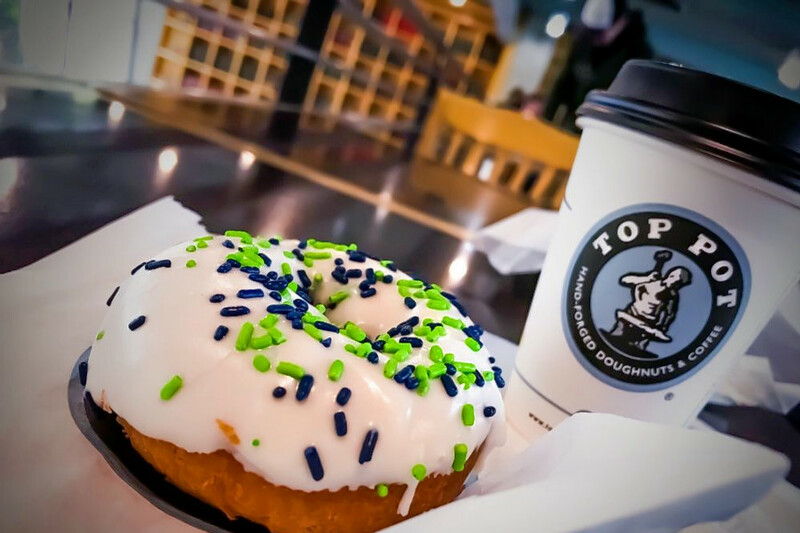 Top Pot Doughnuts at 2124 Fifth Ave. (between Lenora and Blanchard streets) is the chain’s flagship cafe, with Yelpers giving the downtown spot four stars out of 1,526 reviews. 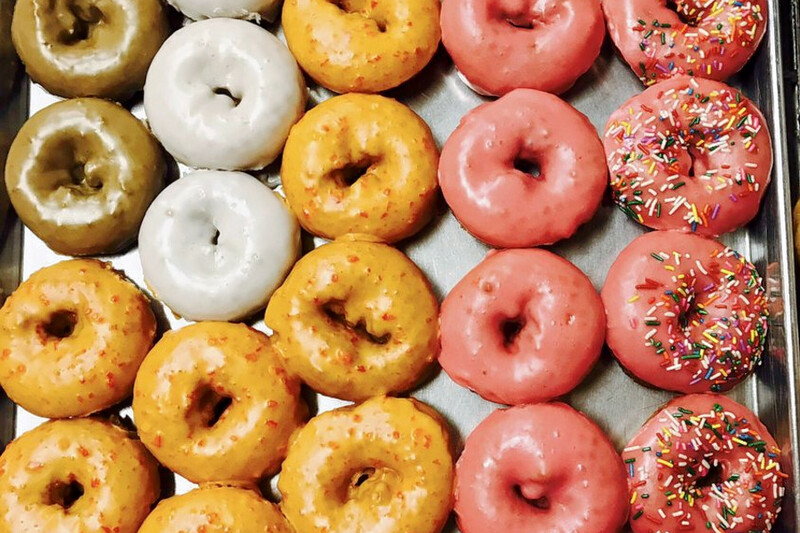 With more than two dozen locations, Top Pot says it was inspired to create a place where “patrons could slow down and savor the nostalgia and taste of a secret 1920s doughnut recipe,” per its website. 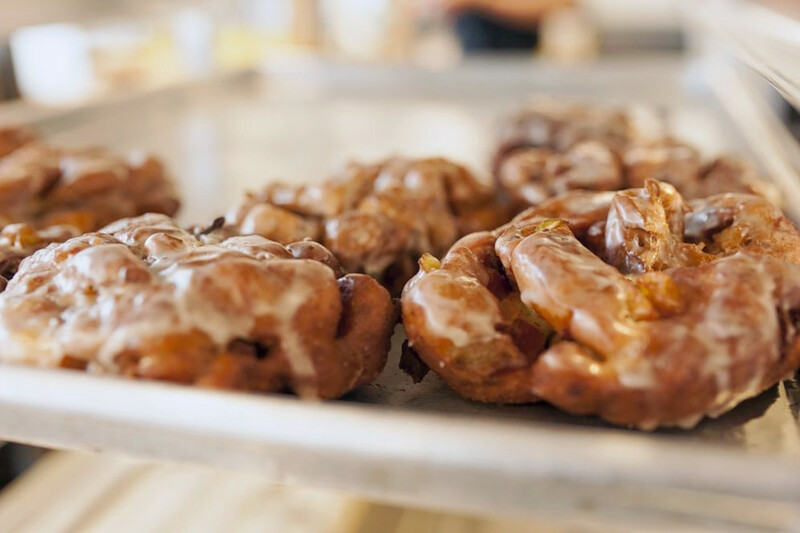 On the menu, look for classics like the old-fashioned cake doughnuts, glazed rings and apple fritters. 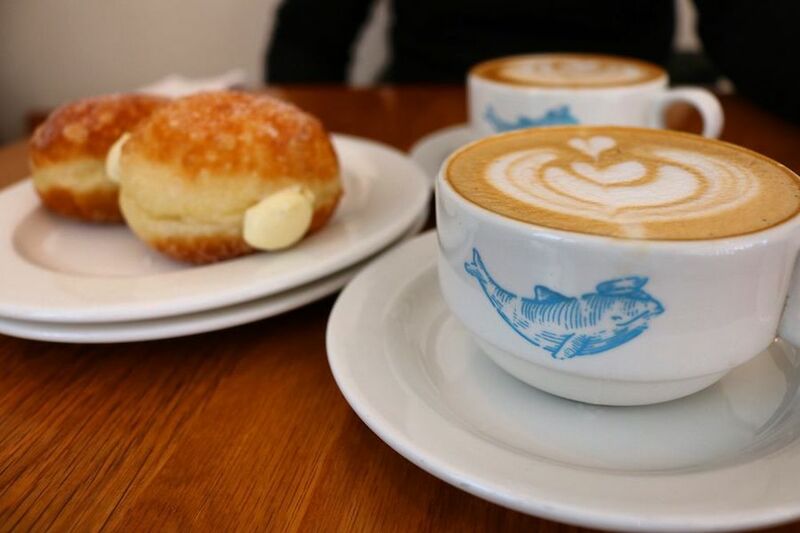 Family Donut Shop, a bakery that also serves coffee and tea in Northgate, is another much-loved go-to, with 4.5 stars out of 166 Yelp reviews. Head over to 2100 N. Northgate Way (near Meridian Avenue) to see for yourself. Reviewer Heather K. says the shop isn’t fancy, but the doughnuts—with “the perfect amount of sweetness”—often sell out. Try the orange glazed, bacon maple, jelly filled or a huge bear claw. Rounding out the list is the General Porpoise, which has earned four stars out of 463 reviews on Yelp. You can find the spot to score doughnuts, coffee and tea at 1020 E. Union St. (between 10th and 11th avenues) in Capitol Hill. The doughnuts are made with fresh eggs and seasonal fillings. The menu features a selection of coffees and doughnut flavors like peanut butter and jelly, rose cream and vanilla custard.